The sun is still shining! We finally have a summer, although I wish the nights were cooler as I'm not really enjoying my room being a sauna whilst I try to sleep. Anyway, I shot this outfit a few days ago and thought it would be perfect for those of you starting sixth form or university, as it has a slight school uniform feel to it but you still feel stylish in it. Sometimes knowing what to wear on your first day can be just as frightening as starting at a new place! I think my favourite piece in this outfit has to be my Olivia Burton Hummingbird watch which I was given for my 21st birthday. I absolutely love it! Keeping in with the theme of school I saw Monsters University 3D yesterday and really enjoyed it, although for a Pixar film it wasn't quite up to its usual standard, but still worth going to see. It's pretty incredible how they put so much detail into every frame for it then to be on the screen for less than a second. For those of you who get a little bit stuck with what to wear or just need bit of inspiration every now and again (I definitely fall into this category), there's a website that might be the perfect solution. Stylight contacted me to tell you about their site, it's basically a fashion community website full of looks and products. Think Lookbook, Pintertest and online shopping all rolled into one. So if you see a product that you like, you can buy the item on the site which is pretty damn handy! Perfect for you busy bees! I know so was I! I was so happy when I got it! Your watch is so beautiful and I really like your satchel. It looks to be a much better size than others I've seen. Thanks, I got it when they had the half price sale! I am just obsessed with this look! 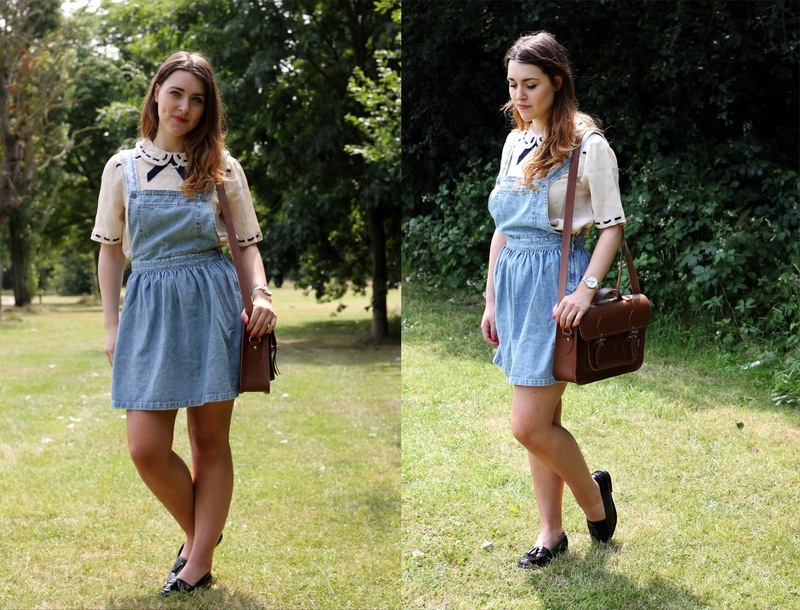 I want a pinafore so badly. Thanks, I love Olivia Burton too! Great, thanks for letting me know. I love your blog by the way! I LOVE that watch! It is going straight onto my wishlist, it's so beautiful! Thanks! It's lovely, I've worn it every day!